CREATIVE LATE BLOOMERS : JONAH LEHRER SAYS CREATIVITY IS JUST ONE "MISREAD" BOOK AWAY...OR AM I MISREADING THAT? 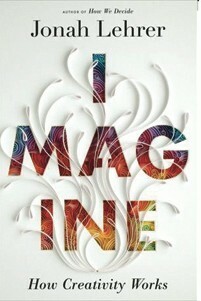 JONAH LEHRER SAYS CREATIVITY IS JUST ONE "MISREAD" BOOK AWAY...OR AM I MISREADING THAT? "The brain is just an endless knot of connections. And a creative thought is simply...a network that's connecting itself in a new way. Sometimes it's triggered by a misreading of an old novel. Sometimes it's triggered by a random thought walking down the street, or bumping into someone in the bathroom of the studio. There are all sorts of ways seemingly old ideas can get reassembled in a new way." Did Lehrer mean to say "rereading" instead of "misreading"? I hope not. I love to think that any book I read could be a source of creative inspiration for me -- even the ones where I totally miss the author's point and boldly insert my own. For as every critic -- and every artist -- eventually learns, there is no "right" interpretation of a work of art. We all bring our life experiences to the experience of art consumption. Authors and other artists never can control how their work will be perceived. But whether Lehrer meant to say "rereading" rather than "misreading" old books can prompt creative thinking, his high praise of spontaneous living has given hope to all of us who have eschewed the purpose-driven life. For if randomness is the most fertile ground for creativity, then an unpremeditated life may turn out to be the most creative one of all. I always suspected that singlemindedness was overrated. Find out what you are good at and stick to it, my teachers used to advise me, ominously warning: "You don't want to be a jack-of-all trades and master of none, do you?" Well, yes, I did. Being a jack-of-all-trades always sounded like a lot more fun than being a master. A narrow focus, it seemed to me, risked missing a whole lot of the bigger picture. The world was full of wonders, from Elizabethan drama to the mating habits of fruit flies, from Jane Austen to the graphic novel. Why choose only one area of interest? I went to a liberal college, the ultimate intellectual smorgasbord. Unable to settle on a single major, I graduated with a double one in political science and French literature and a minor in theology. I lived in a dozen cities and several countries. I married twice. Although I aspired to be a polymath like Leonardo da Vinci, excelling in a number of different ways, I am more a dabbler, performing reasonably well at a variety of different jobs. My slapdash approach to life hasn't earned me fame or fortune, but it has brought me a lot of enjoyment. Still, from time to time, I have been nagged by worry: Has my lack of an overall life plan held me back? Now here comes Jonah Lehrer to assure me that although a hit or miss life probably is not the most efficient pathway to success, the randomness of it holds endless promise. So live aimlessly! Read willy nilly! You may be just one misread book away from hitting the creative jackpot. 1. 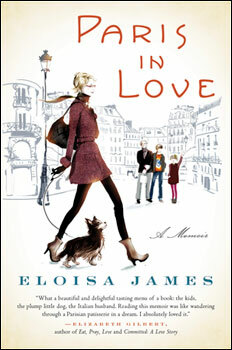 Paris in Love: A Memoir, by Eloisa James: James is the mother of two kids, the wife of an Italian knight and the daughter of poet Robert Bly and writer Carol Bly. She teaches Shakespeare at Fordham, publishes scholarly books on the Elizabethean era, and writes best-selling historic romance novels. Talk about a polymath! This memoir is a compilation of the bite-sized blog entries she posted when she and her husband, who teaches at Rutgers, went on a sabbatical in Paris. Insanely jealous, I desperately wanted to hate her, but she is too witty, too insightful and too honest in these letter-perfect and thoroughly delightful comments about her family's year in Paris to arouse anything but deep admiration. Only disappointed: When I Googled her name, I found out she told an interviewer that the reason she multitasks so effectively is that she's "very, very organized." Well, no one's perfect. 2. 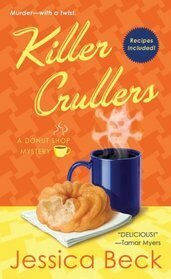 Killer Crullers: A Donut Shop Mystery, by Jessica Beck. People who make fun of people who read whodunits like "Killer Crullers" (which, BTW, was better than "Evil Eclairs") are the same people who mocked Marilyn Hagerty's sincere review of the Olive Gardens. So the Donut Shop mysteries aren't great literature. Bite my cruller. They're fun -- and include donut recipes, always a plus. And BTW, the 85-year-old restaurant critic whose review went viral now got a book contract with none other than Anthony Bourdain who's working on a series of volumes with Ecco. Another creative late bloomer to celebrate! 3. 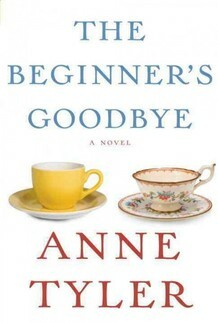 The Beginner's Goodbye, by Anne Tyler (Knopf). Grief is a special kind of madness. In the year after Joan Didion's husband died, her self-described year of magical thinking, the writer became one of those "literally crazy, cool customers who believe their husband is about to return and need his shoes." In this novel, Aaron Woolcott's wife Dorothy does return from the dead -- at least according to Aaron who is the first person narrator. Most of the novel, however, is not about Dorothy's startling re-appearance, but rather a poignant description of Aaron and Dorothy's ghostly life together when both were alive. How hard it is for people to blend their lives and how often we talk right past the ones we love the most. Only the ending of this novel is a disappointment whenTyler opts to give Aaron a second chance that is way too convenient. I guess we are all beginners when it comes to say goodbye. 4. Venetian Curiosities, by Donna Leon, music by Antonio Vivaldi with Riccardo Minasi conducting (Atlantic Monthly Press) An American who has lived for years in Venice, Leon writes an engaging mystery series starring the fictional Commissario Guido Brunetti. Here, the stories of her adoptive, watery city are real -- based on official records and rumors told and retold over the centuries. There's an elephant brought in by boat for Carnival that goes on a rampage and stops for a caffe (that's in the official record); prostitutes who are regulated by very peculiar laws that are largely ignored, and a man who goes to the gallows rather than reveal his infidelities. The palm-sized book is illustrated with scenes of 18th century Venetian life by Canaletto and Longhi and comes complete with a CD of music by Vivaldi, soothing sounds that have been inspiring creative thoughts in me long after I finished reading Leon's Venetian curiosities. 5. 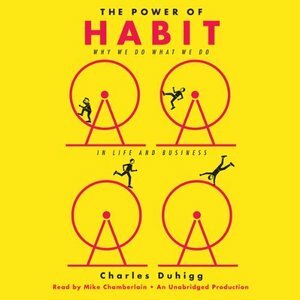 The Power of Habit: Why We Do What We Do, by Charles Duhigg. I listened to this as a book on tape in my car. As I scurried to buy groceries, meet with friends and keep my appointments, I listened as Duhigg explained to me why I do what I do. I do nearly everything, it turns out, out of habit. But here's the best part of his book: He claims that habits can be changed -- if you believe you can change them. He even provides a framework for that change: 1. Identify the route. 2. Experiment with rewards. 3. Isolate the cue. 4. Have a plan. Oh, well, so much for the accidental life. Inspired by the late-in-life success of her mother, LaVerne Hammond, who began to publish a newspaper column in the St. Petersburg Times at age 86, Margo Hammond, a veteran journalist, launched this site to gather stories about other late-bloomers who either first began their creative careers or found success after age 50. Co-author (with Ellen Heltzel) of "Between the Covers: The Book Babes' Guide to a Woman's Reading Pleasures," Margo now encourages others to write down their stories. She holds memoir and collage workshops in the U.S. and abroad, including sessions at the Dalí Museum in St. Petersburg, Florida. She is a popular speaker on the subject of creativity and aging. The book of her mother's columns that she edited, "Post Scripts: A Writing Life After 80," is available on amazon.com. Margo can be reached at creativelatebloomers@gmail.com.